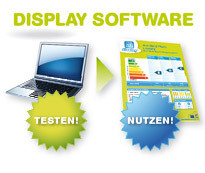 Hauptziel von Display ist die Optimierung der Energieeffizienz Ihrer Gebäude. Verhaltensänderungen der Gebäudenutzer können den Energieverbrauch um 10% senken. Wenn Sie mit der Evaluation jedoch bis zum Ende Ihrer Kampagne warten, stellen Sie unter Umständen erst dann fest, dass einige Ansätze bei Ihrer Herangehensweise nicht effektiv waren. Durch eine kontinuierliche Überprüfung können Sie Fehler rechtzeitig aufdecken, Ihre Kampagne ggf. entsprechend anpassen und Ihre realen Energieverbräuche erfassen. Martigny has been investing in energy savings and efficient plant and network management for twenty years now. The city used Display to communicate the before and after renovation work carried out on 5 buildings. An appropriate computer tool involving the participation of the building caretakers was used to monitor energy use on a weekly basis. The annual results of this monitoring are made available in an energy policy report, published in the accounts and available to elected representatives and the general public.